Paul Davis On Crime: President Obama Is Visiting Hiroshima. Why Not Pearl Harbor? Victor Davis Hanson offers a piece at National Review Online that asks why the president is visiting Hiroshima and not Pearl Harbor. President Obama is visiting Hiroshima this week, the site of the August 6, 1945, dropping of the atomic bomb that helped end World War II in the Pacific Theater. But strangely, he has so far announced no plans to visit Pearl Harbor on the anniversary of the attack. The president, who spent much of his childhood in Hawaii, should do so — given that many Americans have forgotten why the Japanese attacked the United States and why they falsely assumed that they could defeat the world’s largest economic power. ... The road to Hiroshima and the massive loss of life in the Pacific was paved by unprovoked Japanese aggression at Pearl Harbor. Americans and their president should remember the lessons of that surprise attack 75 years ago this year. 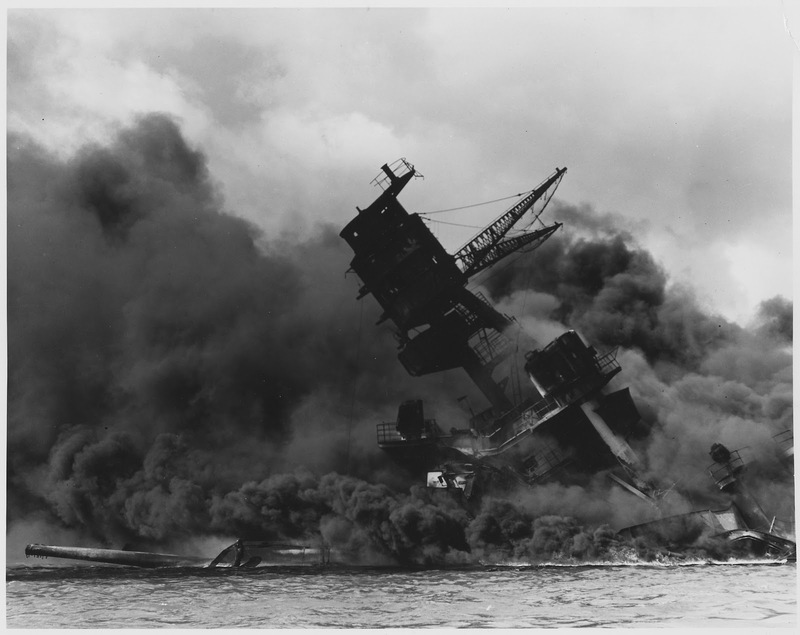 Note: The above photo is of the USS Arizona during the Japanese attack on Pearl Harbor.